You are here: Home / Eh Brah / Eh TV Set Dumpers! Eh, dumpers: Look, I appreciate that you want to get rid of your giant electricity-sucking television set in a way that’s more responsible than simply dumping it in the landfill. But can’t you read the signs posted at the e-cycling lot? 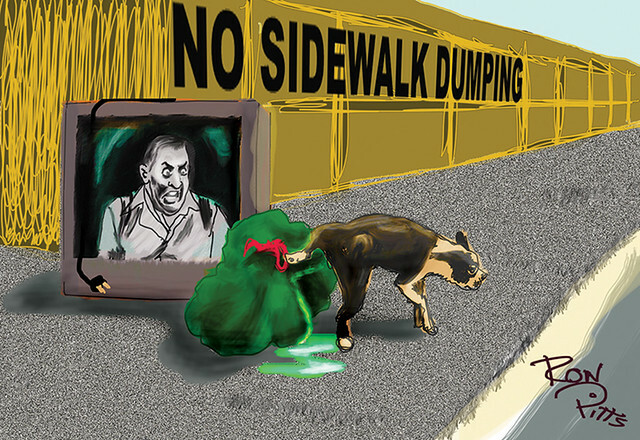 It says not to dump your junk on the sidewalk. Yeah, it’s too bad they’re only open a couple days a week, but that’s no reason to simply leave your old electronic crap at their gate. Is it so much trouble for you to simply wait until Tuesday or whenever to get rid of that old set?